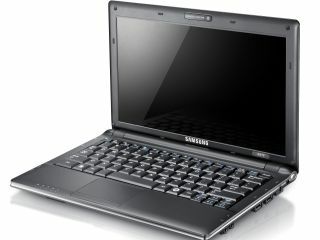 Pre-empting its own press conference at IFA, Samsung has announced new N Series netbooks – the N130, N140 and N510. The headline development is an 11-hour battery life for the N140, while Samsung is still saying the Intel Atom-basedmodels will come with Windows XP Home – presumably it can't say anything until Windows 7 availability on its netbooks until the Microsoft OS launches on 22 October. The N130 is the lightest of the bunch, weighing in at 1.26Kg, while the company retains its gloss finish and availability of multiple colours including black, white, sea blue, and peach pink. The N510 has a 16:9 11.6-inch display powered by Nvidia Ion graphics, while the other models have 10.1-inch screens. Phil Brown, General Manager of Samsung UK's Notebook Division said the new launch "demonstrates Samsung's commitment to the netbook market as a strategic priority for the business." The market has certainly forced Samsung to come a long way from May 2008 when it told TechRadar it was merely considering launching a rival to the Eee PC. All three models will be available from early September.